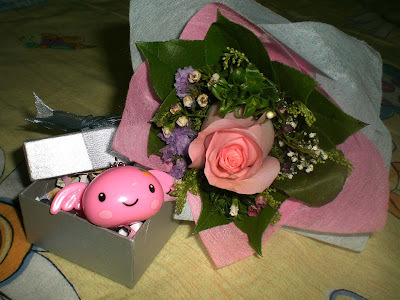 I wish my little pink wing slime can give u happiness and good health. Always remember that there is a good friend supporting and care for you at a corner. Dun forget that when u having any problem, feel free to call . Thats what friends are for.